Collaboration is crucial to building great products. Collaborative teams that listen to and share with each other are more likely to create great products that delight customers and solve their pain points. At Amplitude, we’ve made it a focus to help teams better collaborate and share analyses across their organization. Here are 5 features that will help you and your team communicate and collaborate on insights in your Amplitude dashboards and charts with more speed, visibility, and clarity. Have a question about the chart you’re looking at? Want to point out something interesting about the data, or ask someone for their input? Use comments to chat with your coworkers directly in the chart. Type an “@” to bring up a pick list of coworkers to mention. Anyone you @mention will receive a notification. Email subscriptions are a way to ensure that key stakeholders (in or out of your org) can get important content delivered to where they are. Improve collaboration with your team and organize your analyses in Amplitude with Team Spaces. 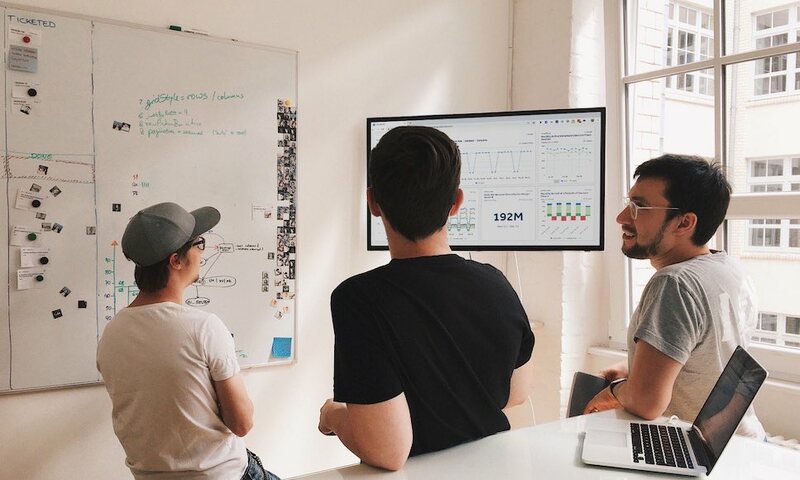 Building a product is a team sport and so are the analyses behind it. You can house all of your related analyses–dashboards, charts, and Notebooks–in one spot with Team Spaces. Team members that join a Team Space will be subscribed to email updates, so that when new content is added, they never miss a thing. Share insights and learnings, establish context for your experiments, and push for new features with Notebooks. With Notebooks, you can tell a media-rich story with your data. You can use Notebooks to add context to your charts, propose feature changes backed by data, and record the impact of feature launches and experiments all in one place. Over 3000 Notebooks have been created by our users since launch. What’s your data story? We’ll be doing a feature spotlight on Notebooks later this month – stay tuned! Bring your Amplitude content easily into Slack with our Amplitude-Slack integration. This integration lets you link a Team Space directly to a Slack channel – you’ll then be able to see all new updates to your Team Space show up where you’re already collaborating with your team. Whenever new content gets shared in that Team Space, you’ll also receive a Slack notification in your team channel, keeping everybody in the loop whenever a new insight is found. Look for the “Connect to Slack” button in the top left of a Team Space to get started. Never miss out on new insights by your team again! Pro tip: Create a separate Slack channel for each experiment so all charts related to that experiment immediately get pushed to a single, unified channel. Create rich visualizations on the big screen and keep a close eye on your KPIs with Amplitude’s TV Mode. With TV Mode, you can display large-format visuals of product metrics on televisions and other public displays. Teams can use it to track key metrics in real-time so everyone can see how the product is performing. We’ve upleveled the way you can visualize charts with a new color picker. With our new series color picker, you can select the color for your data series.Send the right message with your visuals and have consistent series colors across multiple charts. Just click the color badge next to the series label to edit. Thanks to Alicia Shiu, Dave Sachs, Jenny Chang, Mike Ottavi-Brannon, and Tina Yazdi for the contributions to this post. David is a Growth Analyst at Amplitude where he focuses on building scalable programs to help customers build better products. Previously, David ran an international nonprofit called YouthHack, spent some time in venture capital working with early stage companies and wrote about startups for publications like the Huffington Post & Inc. Magazine. Customer centric product teams strive to be best friends with their users. Are you besties? Or are you more like acquaintances or strangers? Take the quiz to find out and get a set of custom resources to help you improve. Data instrumentation is critical for long-term analytics success, yet it's so often overlooked.